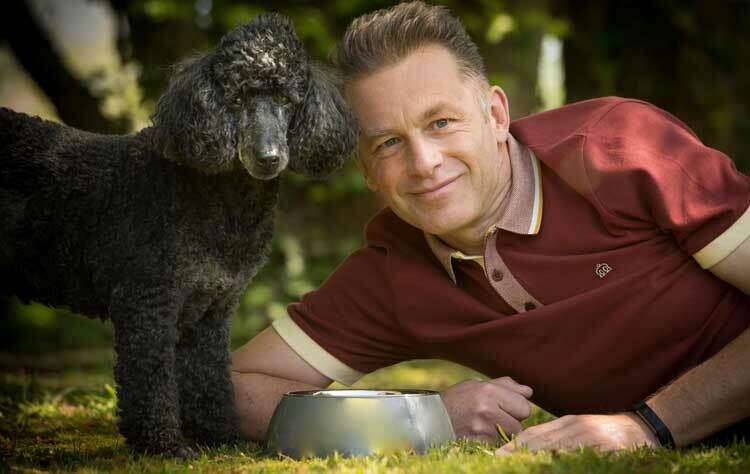 Chris Packham was brought up in Hampshire, and, after graduating in zoology from the University of Southampton, he trained as a wildlife cameraman before becoming a presenter on programmes such as ‘The Really Wild Show’ and ‘Springwatch’. In 2013, Chris was made an honorary Doctor of Science by his alma mater, and, in the 2019 New Year Honours, he was appointed a Commander of the Order of the British Empire (CBE) for services to nature conservation. This spring Chris is hosting dog-friendly event Dogstival, which takes place on May 18 and 19, at Pylewell Park in the New Forest. Q. Tell us about your first dog. Q. Tell us about your current dog. Q. Who has been/is the canine love of your life? Q. If you were a dog, which breed would you be? Q. Which breed do you like but would never own? Q. Can you tell us when your love of dogs began? Q. What is the best advice you’ve ever received about owning a dog? Q. Tell us a funny story about your dog(s). Q. What is the most indulgent thing you’ve ever bought for your dog(s)? Q. Dog(s) allowed in/on the bed: yes or no? Q. Where is your favourite place for a perfect dog-friendly holiday? Q. Name a dog-related product you couldn’t live without.